The blued steel hour and minute hands match the blue gem on the crown. 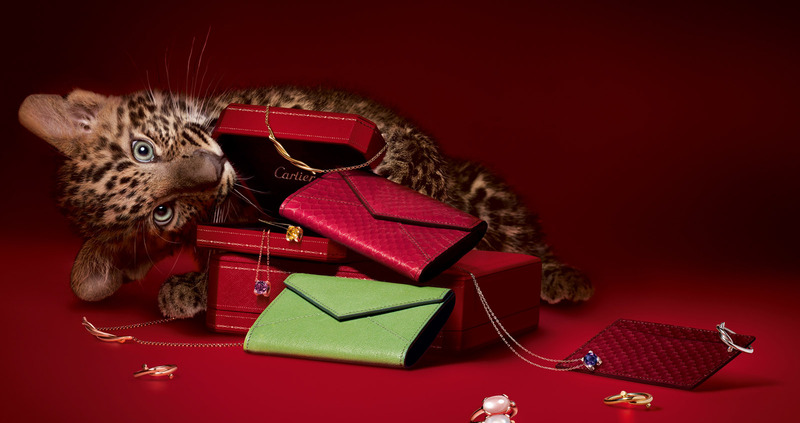 Cartier is undoubtedly one of the most renowned watchmakers in the world, and Cartier’s Tank collection is the company’s most popular line of timepieces. The Tank Francaise W51002Q3, like all the watches in the Tank series, was originally inspired by the Allied Tank forces fighting in Europe during WWI. Looking at the links in this watch’s brushed stainless steel band, it’s easy to see how it was inspired by the tracked wheels of a tank. 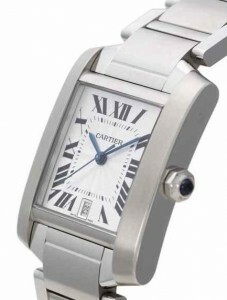 Cartier is also given credit for inventing the folding deployment clasp in 1910. The deployment clasp is used on this watch to securely hold the watch in place, and yet, when closed, the clasp is almost invisible, the links in the chain appearing to connect seamlessly. While this timepiece is secured in the tradition and history of fine watch making, this watch is also contemporary and timeless. The dial is surrounded by a stationary stainless steel bezel. The dial itself is white, and adorned with guilloche, an intricate geometric pattern that has been mechanically engraved onto the surface. The hour, minute, and second hands are sword-shaped and made of blued steel. The blue steel hands match are tied into the watch’s design by the stainless steel octagonal shaped crown topped with a sapphire crystal. The hour markers are roman numerals and inscribed with an interior seconds’ marker. A date window takes the place of the 6 o’clock hour. All in all, this is a classic timepiece that will last the test of time. However, it’s important to note before you buy that this is an automatic watch that charges on the movement of the wearer’s arm. As such, when it’s not being worn, it only has a power reserve of about 24 hours. There are winding cases available for automatic watches, so if you don’t think you’ll be wearing this watch on a daily basis, it might be worth your while to look into one. Also keep in mind that this watch, with a large case, is traditionally sold as a men’s watch. 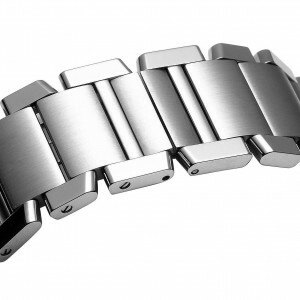 This same design comes in small and medium case sizes that may be more proportionate to a woman’s wrist size. In short, the solid rectangular brushed and polished stainless steel case has rounded corners and edges such that the Cartier Tank Francaise W51002Q3 is not only the pinnacle of style, heritage and design, but was also made with a comfortable elegance that’ll keep it on your wrist for your wrist for years to come.